With an appearance, a little like an old Victorian butterfly collection, this Butterflies and Dragonflies wallpaper by Cole and Son elegantly offers a natural yet classic appearance. The scale is a surprise as each of the butterfly and dragonfly graphics is on a large scale and it combines shimmering metallic and neutral tones in a harmonious design as well as bright, vibrant colourways. The Butterflies and Dragonflies design is part of the Whimsical Collection by Cole and Son. This whole range has a nostalgic and enchanting appearance, with many of the designs inspired by classic fairy tales and stories. 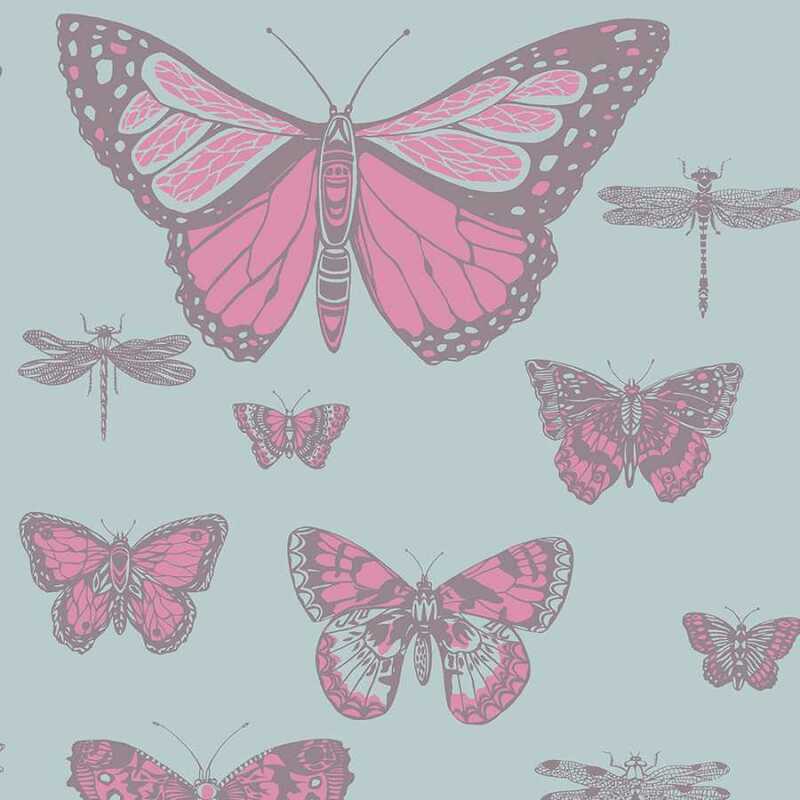 Each of the dragonfly and butterfly graphics in this bold design is on a striking large scale, making it a statement choice for any space in the home. In this 130/15062 colourway, the butterflies are picked out in vibrant shocking pink and the background is in a rich, bold blue. 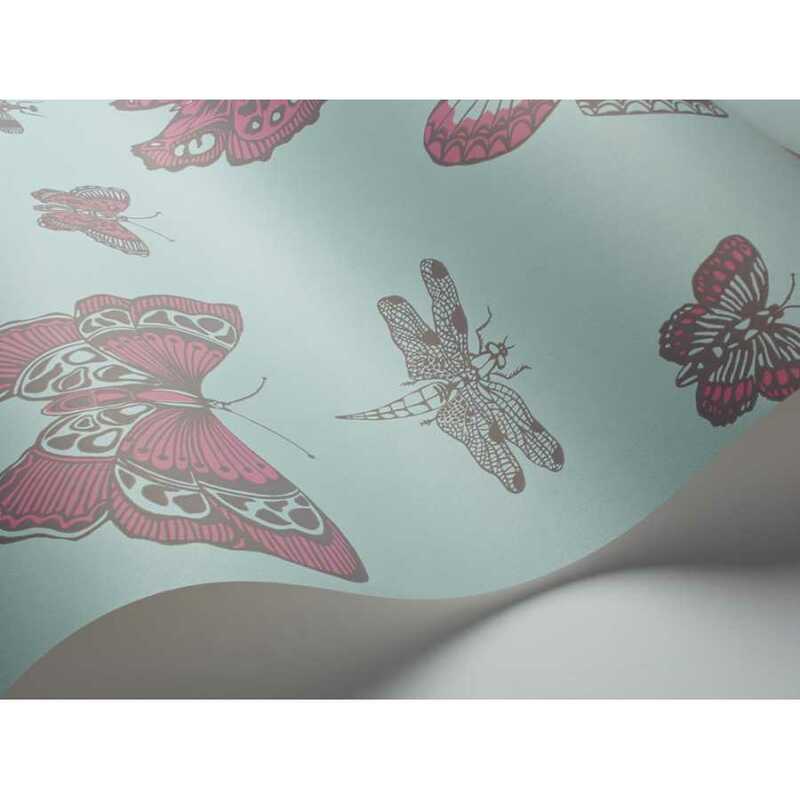 Each roll of Butterflies and Dragonflies Wallpaper measures 52cm in width and 10 metres in length. It has a half drop pattern match and a 72cm pattern repeat.